I can’t blame Bordeaux, which struggled for many decades to ripen Cabernet Sauvignon, for celebrating the warmer vintages they have received over the past decade. 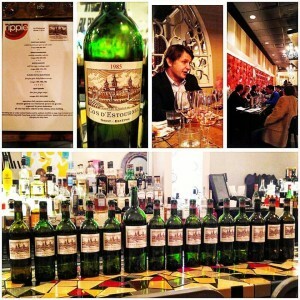 But Bordeaux has been criticized by some for the increase in alcohol, ripeness and lack of tannin and acidity. 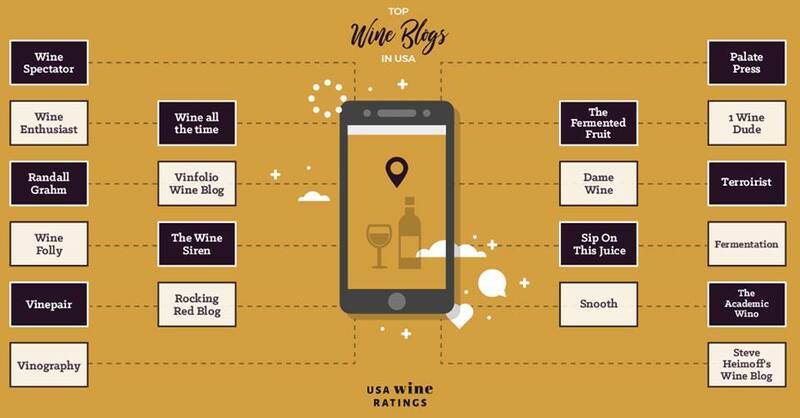 There are plenty of consumers who want lush, more generous wines, but why not buy Napa Cabs if that is what one is looking for? 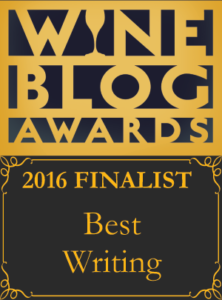 And do Bordeaux wines still express that special spark when it’s too ripe? 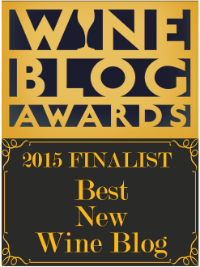 Or do they need to focus on more restraint and structure in warmer vintages? This is one of the best and worst things about life. In bad times we can always count on change, and unfortunately, we cannot stay frozen in the great times. It is probably one of the biggest factors in life that causes us the most joy and the most pain: change. And so not only did the general climatic conditions change in Bordeaux, there were advances in the vineyards and winery, as well as trends towards richer and riper styles. Bordeaux could not stay the same… it was forced to evolve. 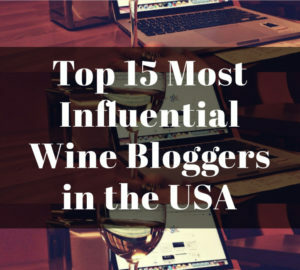 I remember a discussion during the 2010 MW Symposium, in Bordeaux, between Paul Pontallier, the Managing Director of Château Margaux and Paul Draper, the chief winemaker for Ridge Vineyards in California, about the change in styles. Draper had always admired the restrained style of old school Bordeaux while Pontallier said that the Bordelais had always struggled with too much austerity in their wines and welcomed the new generosity of the modern vintages. Their conversation was beautiful in the sense that each one wanted what came easily to the other. A great analogy for life: most of us do not appreciate those things that make us unique. We typically see those unique traits as flaws, especially when we are younger and less secure, and we try to fit in with the popular consensus – sometimes forcing ourselves to live in an unnatural way. Some lovers of traditional wines scoff at Bordeaux’s evolution into a riper, more accessible style, while those who appreciate a more decadent wine have been won over. A couple of years ago, I had a great discussion with Christian Moueix in regards to my preference of the 2010 La Fleur-Pétrus over the 2009. He seemed quite surprised and asked me why. I said that I liked the tension in the 2010, to which he replied that when you get to his age you do not want tension anymore! But that is Pomerol and so one expects those wines to have opulence. What about the great wines of Saint-Estèphe, such as Montrose and Cos d’Estournel? 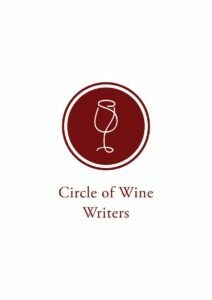 On January 18th, in Washington DC, I attended a wine dinner that was led by Aymeric de Gironde, recent Director of Cos d’Estournel, and wine writer, educator and blogger Panos Kakaviatos http://www.wine-chronicles.com/. 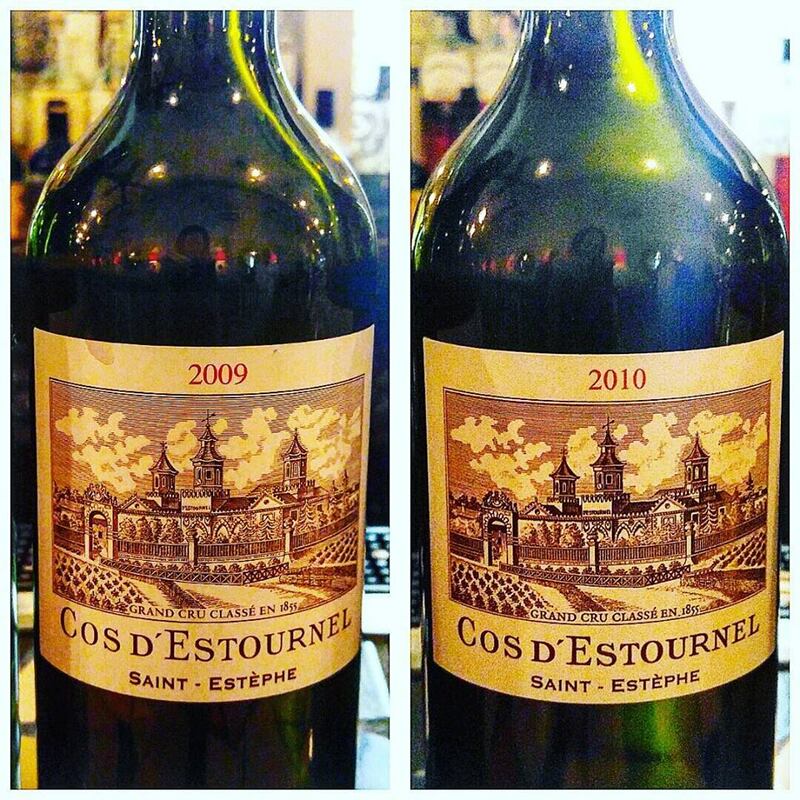 It was a great chance to not only check in on many vintages but to see the evolution of the Cos d’Estournel style. Cos is undoubtedly considered a Super Second, a wine that is technically a 2nd Growth but performs in many vintages as a 1st Growth. Aymeric de Gironde addressed the reasons for trending towards the riper style in Bordeaux using logic from his experience, not only at Cos, but also with his previous position at AXA Millésimes. He addressed the past decade as a learning experience for the Bordelais: it takes time to find the balance when times have changed, and so the Bordelais are trying to find the balance. de Gironde embraces the new opportunities for riper fruit and less green tannins but not at the expense of the backbone of structure that helps differentiate Saint-Estèphe from not only other countries, but also from other sub-regions within the Haut-Médoc of Bordeaux. 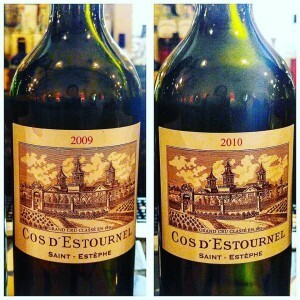 He embraces balance: sometimes balance comes at 13% abv and sometimes it comes at 14.5% abv, such as the natural alcohol that is found in the 2010 Cos d’Estournel, which pleases many traditionalists. Maybe it is not a matter of the pendulum swinging back to more restraint, but more of the idea that the Bordelais are finally learning how to deal with the inevitable changes of life. Aymeric de Gironde said that Cos d’Estournel has always tried to keep a consistent style, of course allowing for vintage variation. Even though there was the one odd exception of the 2003, all of the wines seemed like siblings, some more flamboyant than others, but siblings nevertheless. And the 15 vintages I had that night showed a journey, not unlike our own, that expressed the various twists and turns of the life of Cos d’Estournel. All of us want to improve ourselves, each of us being very sensitive to our own imperfections. We want to improve, we want to better ourselves, but sometimes we can go too far, we change that one thing that gave us our spark. I am hoping to see Bordeaux get that spark back and ecstatic to see that Cos d’Estournel is keeping that spark alive! In the order they were tasted. Also, I tasted these wines the next day since I poured 1oz samples into vials. Almost all the wines still stayed in full primary condition, with the 2003 being the only exception declining the next day, and a couple of vintages, such as the 1982, significantly improved. This wine has lovely purity of fruit with linear body and more intensity on the nose than palate. It has a high percentage of 85% Cabernet Sauvignon with 13% Merlot and 2% Cabernet Franc with very low yields for the harvest. The 2006 is wild with lots of forest floor, truffles and grilled meats on the nose, and muscular body. A small amount of Petit Verdot was used, 2%, and the rest is made up of 78% Cabernet Sauvignon and 20% Merlot. A pretty, fragrant nose with floral notes and a linear body with slightly firm tannins. Blend is 74% Cabernet Sauvignon, 23% Merlot and 3% Cabernet Franc. A tight, tight wine….Aymeric de Gironde said that they are still waiting for the 05s to open. Even though it is a ripe wine with great concentration, it is shut down with only general aromatics and flavors barely reaching one’s senses. This wine did improve on the second day of drinking the 1oz sample, with incense and clove dominating the nose and blackcurrant jam on the palate, but it was still pretty closed. It needs more time in bottle. A dream vintage (ideal textbook growing season) that may never see its dream wine. 78% Cabernet Sauvignon, 19% Merlot and 3% Cabernet Franc. This is a vintage in France that most of us know. It made the news with several people dying from an intense heat wave that lasted 15 days. One can imagine that getting so much heat all at once is not good for most crops, and follows that, it caused a lot of issues with the wines that were made that year. This 2003 is actually one of the better ones with no signs of desiccated fruit. It is not “dead” like most 2003 Bordeaux. But it is certainly an atypical wine. Less flesh than the 2005 and no structure, 2003 is a moderately bodied, fruit driven wine. It was enjoyable to drink, especially for those who like a softer palate, but it did not seem reminiscent of left bank Bordeaux at all, and herein lies the problem. But a great vintage to introduce New World Pinot Noir lovers, and someone at this tasting did say it was their favorite. It did not hold up that well the next day on the palate but it did open up on the nose with notes of gingerbread cookies. 70% Cabernet Sauvignon, 27% Merlot, 2% Petit Verdot and 1% Cabernet Franc. Cos deserves a pat on the back for this effort during a challenging vintage. The wine was tight on the palate, still staying closed the next day, but had an interesting nose with licorice and exotic spice wafting around one’s head. The next day I discovered an extra complexity of tomato leaf that I liked but may not be to everyone’s liking. 58% of Cabernet Sauvignon, 38% Merlot, 3% Cabernet Franc and 1% Petit Verdot made from extremely low yields of 32 hectoliters per hectare. Again, a terrific effort for this vintage. Powerful yet elegant. Intense nose with ripe blackberries, sandalwood, spice with a touch of fresh herbs. So high and low notes, and the palate had a good amount of flesh with lots of tannin to give it backbone, yet the tannins were very fine and soft in the mouth. Also, an interesting side note about the 2000, Aymeric de Gironde said that this was the first vintage where Cos significantly dropped their yields from around 60 hl/ha to around 40 hl/ha. The 1oz sample was still in great shape the next day and more distinctive aromatics came out with dried thyme and cigar box. This legendary vintage is actually ready to drink now and I would not wait more than 5 years to drink it. 65% Cabernet Sauvignon, 33% Merlot and 2% Cabernet Franc. A tannic, lean body that carried great energy and layers of complexity, and so some were not fans but others loved this wine; notes of Bay leaf and fresh sage which did not hold up too well the next day. 65% Cabernet Sauvignon and 35% Merlot. Rich and lush flavors (they were experimenting with 100% new oak) with their characteristic Asian spice and incense aromatics being especially intensified in this wine. 60% Cabernet Sauvignon and 40% Merlot. We had the 89, 85 and 82 side by side. The 89 was the least impressive, the 82 a well-known legend, and the 85 that was singing that night. There was nothing wrong with the 89. It had everything that one would want from an older left bank Bordeaux: good concentration, firm yet integrated tannins, some fruit with a touch of complexity with tobacco leaf, but there was nothing extraordinary about it; and so, it paled in comparison to the other wines. 60% Cabernet Sauvignon and 40% Merlot. The wine that “rocked my world” that night was the 85, which is odd because I was expecting the 82 to be the wine of the night. As I said before, the 85 was singing with an intoxicating nose of flowers, fruit and sweet spice that delivered those aromatics like a lady, with gentle love. Simply elegant. 60% Cabernet Sauvignon and 40% Merlot. Also, I did some of my own research and the 1985 is 100% new oak as well, but does not show it. So perhaps the 1995 will become as stunning as the 1985. There is no doubt the 82 is a living legend. The 85 may have overshadowed it on the night of the 18th of January, but the next day it was a lot better than the 85, which is indicative that it just needs more time, or just make sure to leave some for the next day. My first experience was a very good one with an intense smoky quality, but it did not express its greatness at the time due to the smoke dominating the whole wine. Well, the next day it really opened up with sandalwood, gravel and sweet tobacco with silky tannins that carried along the long finish. It was breathtaking the next day and shocking how it is still going strong. 60% Cabernet Sauvignon and 40% Merlot. This wine was very closed and tight. Even the next day, it was giving very little on the nose and palate. But there are the classic signs of Cos d’Estournel with spice and incense… also, some fresh mint that brings a brightness. There are lots of tannins yet they were decently integrated, especially considering the tough vintage and the youthful age. This will be a good wine to drink in 5 years or so while one is waiting for the monster vintages to come around. 75% Cabernet Sauvignon, 22% Merlot, 2% Cabernet Franc and 1% Petit Verdot. I love the 2010s. First of all I am a personal fan of acidity and tannin, and when I crave left bank Bordeaux that is what I’m looking for in their wines. This vintage combines all the positives of a ripe vintage (not overly green, lots of flesh on the body) with all the exciting glory of an outstanding traditionally cooler vintage (marked acidity, great backbone of high quality tannins and lots of energy). This is why I love Bordeaux.. this wine, right here! It will make great old bones, but if you need to pop the cork now make sure to decant for hours and have it with some red meat if you can. It immediately gave flavors of blackberry, tobacco, cassis and sandalwood but was even more generous the next day. 78% Cabernet Sauvignon, 19% Merlot, 2% Cabernet Franc and 1% Petit Verdot. I am not going to dispute the greatness of the 2009. Full Disclosure: I am a 2010 sort of girl. I crave structure and tension when seeking out Bordeaux. The 2009 is delicious and while it does have structure, my personal preference would be for a little bit more. Even Aymeric de Gironde admitted that he thinks they should have picked earlier for the 2009 harvest. 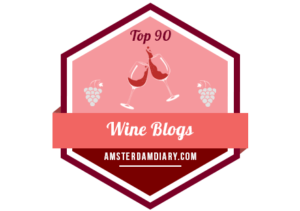 But what is really nice about the 2009 is that it is open now with lots of fruit, spice and incense notes that has a decadent fleshy body and a well sustained flavorful finish. If you are not a fan of too much tannin or acidity then this is the wine for you. 65% Cabernet Sauvignon, 33% Merlot and 2% Cabernet Franc. 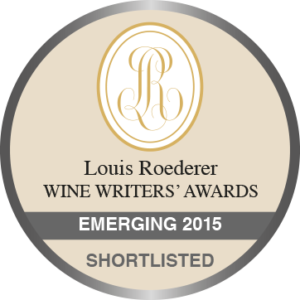 This entry was posted in Uncategorized and tagged Bordeaux, Cos d'Estournel, Saint-Estèphe. Bookmark the permalink.